Preceded (if you want to be a completist about these things) by the interactive episode Attack of the Graske. A Graske is loose capturing humans and replacing them with duplicates, and despite his incredibly slow, one at a time approach the whole human race will be wiped out unless YOU can stop him! (Rose is busy watching ABBA in 1979). Technically, David Tennant is not credited in this episode as "the Doctor". He receives only pre-title billing. This makes this the only bit of Doctor Who to ever appear on television which does not credit the role of "the Doctor" or "Doctor Who". Remarkably, this bit of trivia includes The 1965 episode Mission to the Unknown in which the Doctor doesn't appear. Right, now we've saved the world from the Graske, back to the episode proper. Are we all set now? Okay! Whilst the Doctor goes to visit the Face of Boe, Rose is led to the basement where her body is hijacked by Lady Cassandra. The Doctor and Rose/Cassandra unearth the terrible secret which is that thousands of artificailly grown humans are forcibly infected with every disease in the galaxy which somehow helps the cat nuns to cure the other people. (No, I don't quite understand that either). The infected artificial humans escape and go on a zombie rampage. Using THE MEDICINES the doctor cures the zombie humans and EVERYONE LIVES! This episode marks the first appearance of a running joke about the Tenth Doctor's love of the "little shops" found in hospitals and museums. I called the Christmas special episode 1 (because it feels way more like part of series 2 than the end of series 1, mainly due to the regeneration. Probably won't have this problem with the next few specials) and fanfare doesn't like there being two threads numbered that, so I cheated a bit. You can have two threads for the same episode if it's a different category. Thanks mods for letting me mess about with episode numbering. If Just this guy, y'know's answer wasn't clear, the "Books Included" tag is a kludge to allow two Doctor Who Season 2 Episode 1s (the first being the Christmas Invasion). That is a much better explanation, thanks filthy light thief. 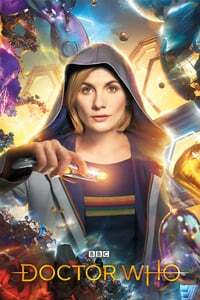 I'm not all caught up yet on Debating Doctor Who yet, but apparently their most recent episode (as of typing) compares Time Heist with New Earth and Partners in Crime. Strictly speaking it's the fifteenth New York since the original. That makes it New New New New, New New New New New, New New New New New New New York. I was very surprised that they chose to come right out and say that Rose is a "chav." I thought that word was rather controversial . Piper really did a great job with the change in character. Cassandra's fate is quite interesting. She's such a narcissist it's fitting that when she meets her demise the one one to comfort her is her past self. Overall, I rather enjoyed this episode. It felt a lot like old-time Who.